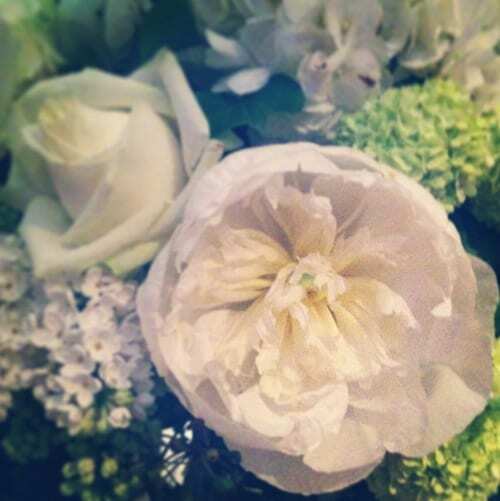 This week, more than ever, I feel very privileged to be involved in the floristry industry. 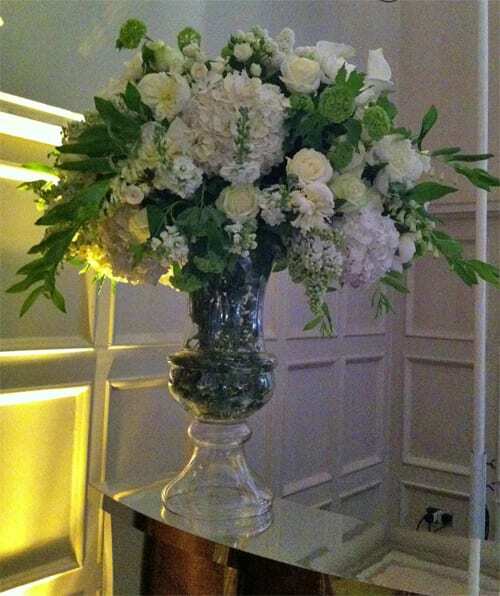 On Monday evening, I went to florist Hayford & Rhodes‘ Website Launch Party at BAFTA in London. The floral arrangements which they had created to decorate the venue were absolutely stunning and I’ll be featuring images of them soon! It was lovely to meet Fiona and Alli from Hayford & Rhodes, Charley from the London Bride blog, Kate from Vintage Style Hire and Paul from Enterprise Plants. On Tuesday afternoon, I met up with florist Robbie Honey. We’d originally planned to meet up in a cafe, but the weather was so glorious that we went to the Chelsea Physic Garden and sat outside instead. It was great to catch up with Robbie and hear all his news, including his recent visits to New York and Beijing to teach floristry. 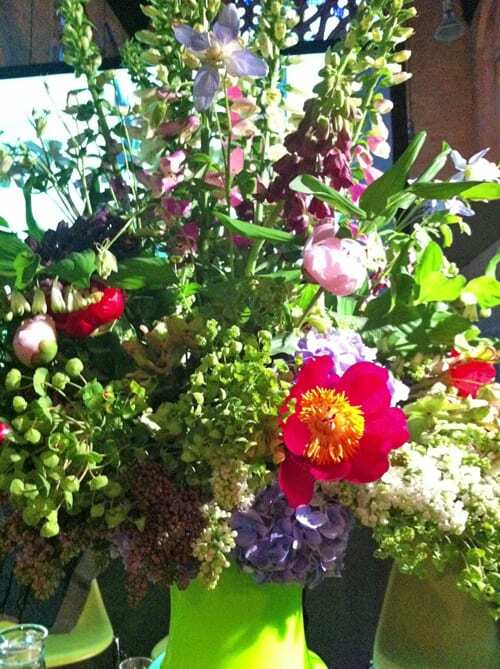 Then, I went to the Garden Museum in London to attend their Trends in Floristry Event. What a wonderful evening it was and what a perfect choice of panellists from such a wide spectrum within the industry…florists Vic Brotherson of Scarlet & Violet and Simon Lycett, floral artist Rebecca Louise Law, New Covent Garden Flower Market wholesaler Dennis Edwards and Lauren Craig of Thinking Flowers. I took lots of notes which I’ll be sharing with you soon. 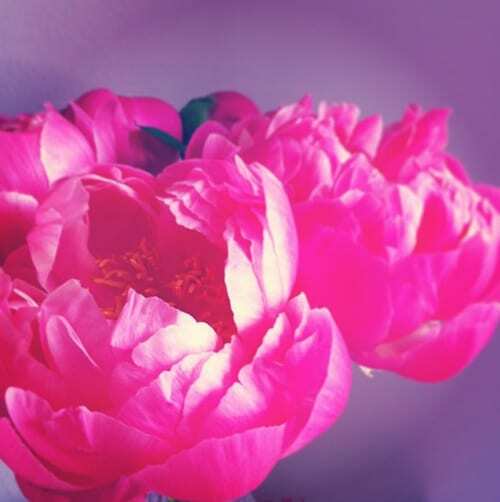 But in the meantime, here’s an image of a fabulous floral design which Simon created. A mainly stay-at-home day, catching up on emails and social media, plus writing blog posts. 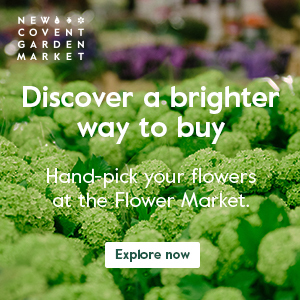 On Thursday morning, I was up at the crack of dawn to visit New Covent Garden Flower Market to take pictures and talk to the traders for my monthly reports. And it was lovely to bump into Mark from Bloomsbury Flowers and Simon from Euphoric Flowers there. In the evening, I travelled back in to London to attend an event at 45 Millbank arranged by florist Simon Lycett, event design company Fisher Productions, catering company Rhubarb, bridal boutique Luella’s Boudoir and suppliers of entertainment, Sternberg Clarke. 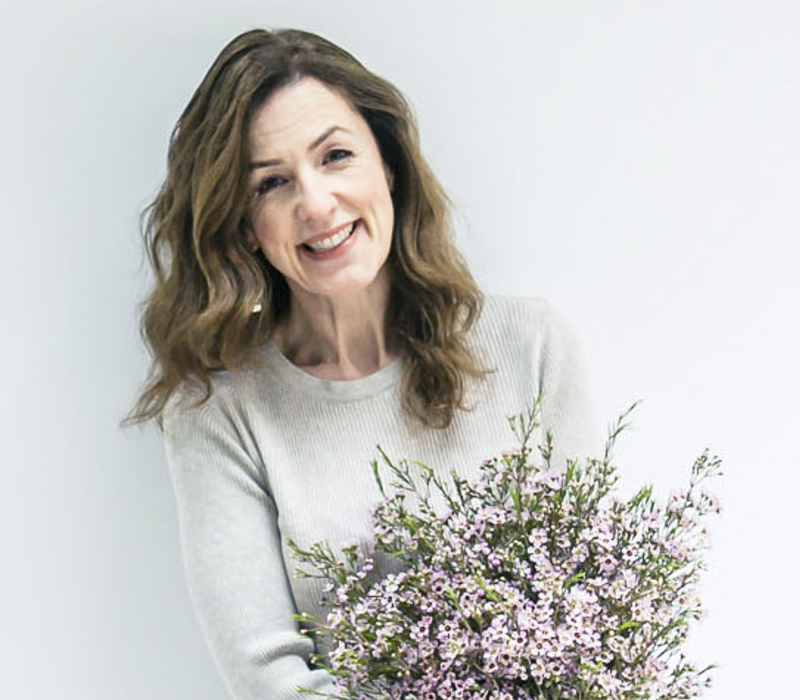 I had such a wonderful time…and it was lovely to meet Rachel, Philippa and Clare from Luella’s Boudoir, Ashley and Louis from Liberty and wedding planner Mark Niemierko. And of course, it was great to spend time with Simon and his colleagues, Mel and Miranda. On Friday evening, I went back to the Garden Museum in London. This time to attend a private view of the entrants’ designs for their Floralia floristry competition. The judging panel was florist Nikki Tibbles of Wild at Heart, TV presenter George Lamb and Waitrose floral designer, Christopher Wood. The most popular blog post this week was ‘Flowers In Pots: Recipe 2 – Agapanthus‘.